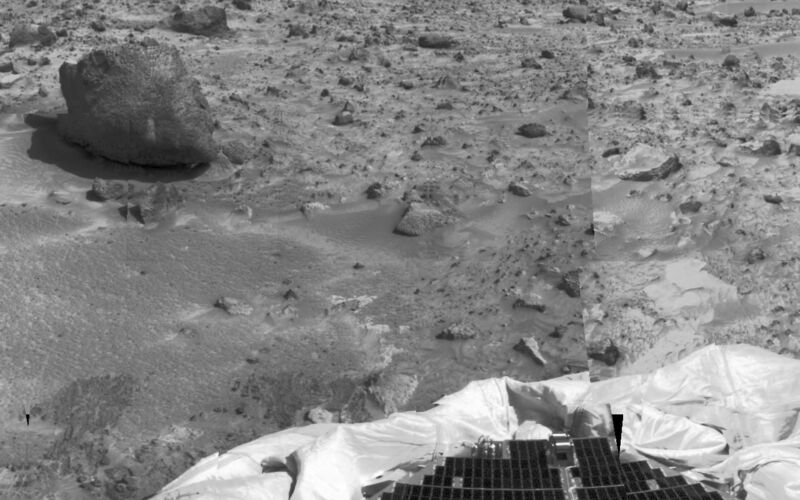 The left portion of this image, taken by the Imager for Mars Pathfinder (IMP) on Sol 3, shows the large rock nicknamed "Yogi." Portions of a petal and deflated airbag are in the foreground. 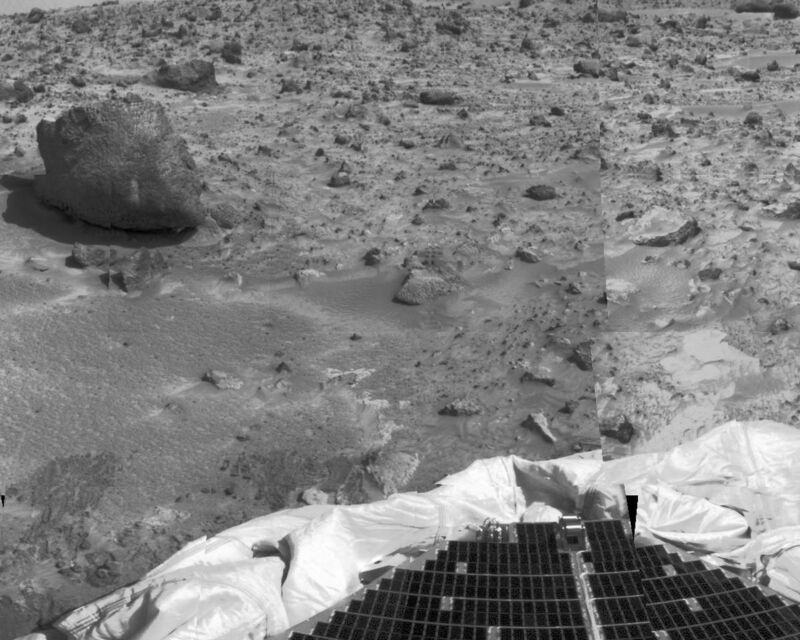 Yogi has been an object of study for rover Sojourner's Alpha Proton X-Ray Spectrometer (APXS) instrument. The APXS will help Pathfinder scientists learn more about the chemical composition of that rock.